Know your customer (KYC) services has been provided by UIDA Unique Identification Authority of India in coming days KYC Know your customer documents (Identity proof ,address proof) through e-KYC API specified documents are linked together and produced by UIDAI only. E-KYC process can be performed by electronically, in this e-KYC process every Indian individual resident authorized UIDAI (through Aadhar Authentication) to provide their basic demographic data for proof of identity (POI) and proof of address (POA) along with their photograph (digitally signed). 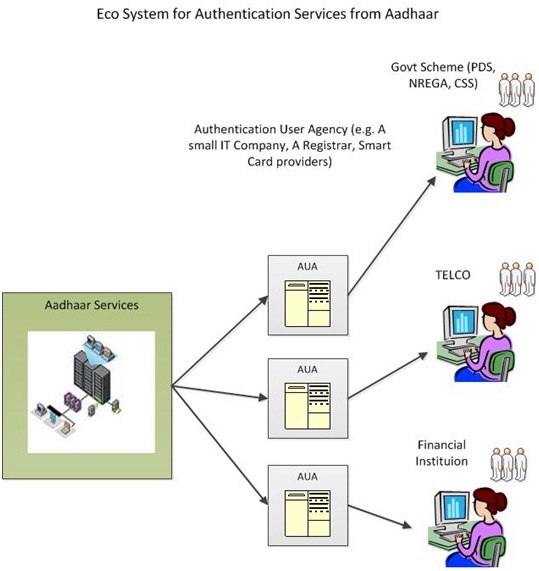 KYC services from UIDAI will starts may be in coming days and Aadhaar UIDAI specified in API KYC document for “Micro ATM” each and every eligible person should be benefited by Aadhaar enabled micro atm/Bank account, to avail subsidiaries form state, central Government schemes, and get all products with the e-KYC documentation. In this way e- KYC process should avoid the paper storage risk and maintenance of documents also very easy for Banking, Financial institutions, and Telecom service. Up to know Banks and all financial firms, Telecom companies, taking as KYC (Know Your Customer) documents like id proof (voter id, pan card, ssc memo) and address proof ( voter id, ration card, gas bill, passport..Etc), as indentify of each individuals, they are taking these documents as a hard copy, zerox, and kept its aside, this is the most typical way to handle documents for a long time. With e-KYC documents avoid the risk to manage large number of documents for long time. Save the paper through e- KYC document no need any (hard) zerox copy to produce anywhere. E-KYC document should eliminate the risk of physical maintenance of documents. The Aadhaar e-KYC document lots of uses it’s enabled with micro atm’s including digitally signature of customer. Thanks for sharing the good source of information.